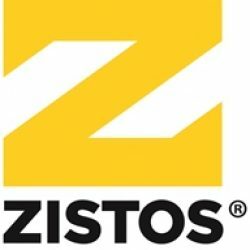 Zistos was recently at SHOT Show 2018 in Las Vegas where we showcased a broad selection of our reliable, field proven tactical surveillance video tools. For those of you who may have been unable to attend, we wanted to give a quick overview of what we showed so you don’t miss out! Tactical Pole Camera Systems: Customization options offer a variety of poles ranging from 2’ to 40’ as well as IR, thermal, zoom, fixed focused, and color cameras in addition to a choice of our display options to complete a kit. WalkAbout Display: Our body-worn, ruggedly built 5.6” LCD display powers any of our tactical cameras using a rechargeable battery and generates a clear, detailed video image. The WatchAbout display can be used in conjunction with the WalkAbout, enabling other team members to receive and view the wireless tactical video on a small wrist-mounted video screen. The Through-The-Wall System contains specially designed hand drill and cutting tools, cameras, display and audio module that allow visual and audio observation into an adjacent interior room through a sheetrock wall. This system is perfect for hostage barricade scenarios as well as explosive breaching. Dual View Under Door Camera: This camera has a specially designed pole that keeps the operator of the camera out of the fatal funnel of the doorway. It has a forward facing camera to look into the room and an upward facing camera to view the backside of the door as well as audio listening capabilities. Our Dual Mode Thermal Camera incorporates both a thermal camera and an IR illuminated B&W camera in one housing. They can easily be switched between merely by using the illumination knob on the WalkAbout display. The thermal camera is great for location and the IR B&W mode is great for seeing a detailed image. Portable Network Surveillance Camera (PNSC) is a highly compact, self-powered, wireless Pan Tilt Zoom (PTZ) camera that can be rapidly deployed anywhere! The entire system packs into one PelicanTM case and can transmit wireless, encrypted data to a command location, where the images can be viewed on a computer or tablet. StealthSCOPE: This scope is a standalone compact videoscope that can covertly see 20ft into complete darkness due to its internal IR laser light source. Its 9mm diameter and 4-way remote articulation makes it perfect for small openings and tight areas such as around corners, over walls, under doors and inside vents and ceilings.